A lot of students claim that what they learn during school and university is not relevant once they start in the workforce. You may not learn how to pay your taxes, or apply for insurance, but many skills that you learn throughout your time studying are transferable to work. The following six themes cover a broad range of skills that you will, ideally, gain from your time in class and study, whether you study a bookkeeping course, or a plumbing apprenticeship. You can then apply these to any position you take on in the future. When studying multiple subjects and juggling your social and personal life, it’s imperative that you prioritise your to-do list. Learning this is not only beneficial to getting your study done, but it is also applicable to the workforce. It is unlikely that you will have just one task to work on throughout your work life, and so the ability to prioritise your ever-expanding to-do list is paramount to succeeding in any role. You will be given a list of what has to be delivered during the day and you will have to note when the items will arrive, how many items there are, and how many different places you have to deliver to. You will also have to organise the most efficient route to deliver all of the items so that you aren’t going back and forth from your yard all day. Prioritising goes hand in hand with time management. You learn time management during your independent study sessions where how long you spend is completely up to you and how well you do is in your hands. When you move into the workforce, time management will be one of the main skills that you will need. As you are given multiple tasks within your position, you will have to prioritise every task and decide how long to spend on each one. For example: stocking shelves in a retail position. You will need to know when the shipment of products comes in so that you can organise your other tasks around this time, maximising your time to ensure everything gets done. You will need to know how much product is coming in with the shipment, so that you leave enough time to get everything out before you finish. You will need to make sure that you keep an eye out for customers in case they have enquiries whilst you are stocking the shelves. Being able to effectively manage your time will go a long way to helping you get things done and thrive in the workplace. When you first start out with studying, you ask as many questions as possible, and as soon as you think about them. Once you have had a couple of go’s, you learn to phrase your questions differently to get the most information out of one question. Once you are in the workforce, it is rare that your co-workers will have time to answer a million questions, so being able to ask the right questions will save time and will get you the information you need. See our pages on Questioning and Types of Questions for more. Throughout your studying lifetime, you will learn the importance of writing everything down. Something that is said offhand may end up being in an exam that counts for 70% of your overall grade. The same applies to the workforce. People aren’t there to explain every small detail to you and so writing everything down will benefit you in the future when your brain has become overloaded with new information and that passcode to the office has been forgotten. You are given a passcode on your first day to get into the storage room. Writing this down will stop you from having to ask every time you forget it, and will also stop you from annoying your co-workers who are busy with their own roles. Writing important information down applies to every field of work as we are but mere humans who can only hold so much information in our brains. Some of what you will learn during study can be irrelevant to your situation, learning to filter this information out, and retain what is relevant, is a very handy skill to have. The workforce is the same. You will hear a lot of things throughout the office that may or may not be useful to your position. Being able to remember what information will benefit you will go a long way to helping you perform well. For example: your co-workers are talking about a project. You may overhear them discuss problems with a design project, and you know that it isn’t part of your role as marketing assistant so you can dismiss this information. However, you may hear someone mention a meeting that the manager is at. This is helpful information should someone ask where the manager is as you will be able to aid them. Learning the relevant information before being specifically told it can save a lot of time for you, as well as your co-workers and potentially clients/customers. You may find our page on Memory Skills helpful. Throughout your time studying, you will go through an emotional rollercoaster that comes with time constraints, knowledge cramming, and loss of a social life. Once it’s over, you will have dealt with these emotions enough to know that you can make it through. Moving on to the workforce, there will be these exact emotions during stressful and busy times, and all of your co-workers will need your empathy. Having experienced these exact emotions means that you will be able to be empathetic toward the situation at hand, allowing you and your co-workers to collaborate in a more effective manner. For example: a project due date has arrived. You, and everyone else working on the project, will be stressing and making sure that they have everything done. Being empathetic toward everyone who is in the same boat as you will help lower stress levels and avoid in-house arguments. Having empathy for your co-workers will probably help with your popularity also! See our pages on Empathy and Understanding Others for more information. 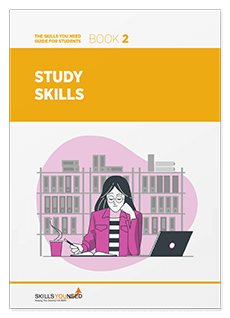 All of these skills, and more, that you have started to learn throughout studying will be honed throughout your lifetime in the workforce. If used right, they will see you succeed in your chosen field, but are applicable to all types of positions. Scott Rojko is passionate about helping people find their way into rewarding careers. Scott and the awesome staff at MWT Institute work tirelessly to ensure that students are able to gain qualifications and job-ready skills to give them the best possible opportunities. Connect with Scott on Twitter @ScottRojko.